Dragon for Mac Goes from Zero to Hero – But Is It Too Late? UPDATE Dec 16 2017: The information in this article is still valid. However, Dragon has now been updated to version 6.0.8 which also brings High Sierra compatibility. Things are still pretty stable although some quirks still remain. Well, it took them long enough. After six updates to the current version of Dragon Professional Individual for Mac (including one that was subsequently pulled after it turned the program from a crashing, buggy mess into an even worse crashing, buggy mess), it appears Nuance may finally have delivered a stable version of the product. The 6.0.6 update that was recently released appears to – shock, horror! – fix many of the terrible problems that have plagued this version of the software. 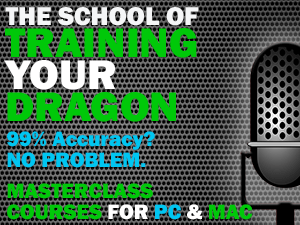 Out of my many years of using Dragon both on the PC and Mac platforms, Dragon Professional Individual for Mac 6 has been the worst performing version of the software I have ever come across. I don’t say that lightly, by the way – the Mac version has never exactly been a bastion of well-written software. But this latest release has been nothing short of a disaster. Something tells me that it wasn’t meant to be like this. This seemed to be the release where Nuance finally unified the branding across both versions of the software, bringing Dragon for the Mac in line with its more mature, feature rich Windows counterpart. Instead, we got a piece of software that promised much (including the new, improved “Deep Learning” speech engine) and instead delivered tear-your-hair-out frustration in spades. Even getting the thing to launch could be a challenge – keeping it stable long enough to deliver any form of accurate recognition was even more problematic. A familiar sight for Mac users of Dragon Professional Individual 6. It’s hard not to feel like Mac users have been paying to be beta testers since its release. That’s pretty unacceptable for any company, but I wonder whether the sheer level of instability in this version took even Nuance by surprise. That’s no excuse, of course; it should never have been released in the first place. The 6.0.6 update, however, belatedly seems to fix an awful lot of the problems that have plagued Mac users this time around. The crashes, for the most part, seem to have stopped. The whole thing now feels relatively stable and dictation into Word, Pages and even Google Docs seems a lot smoother (I haven’t yet had a chance to test it in Scrivener, however). It still seems to have the odd problem with the famous “wandering cursor” though, so I still recommend dictating into TextEdit just to be safe and cut-and-paste into your word processor of choice. While it’s undoubtedly good news for Mac users of Dragon, I have to wonder whether Nuance have done some irrepairable damage to their reputation. The Mac community has been a pretty patient bunch of customers over the years, putting up with a consistently flaky version of the product while Windows users enjoyed everything the Mac version should have been. This time, however, the backlash seems different. It seems like Mac users’ patience has run out and some of the comments in Nuance’s own forums and the Amazon review section have been nothing short of vitriolic. Although version 6.0.6 is now usable, it doesn’t change the fact that people paid good money to put up with six months of sheer misery from a program that simply wasn’t fit for purpose. If that’s not enough, it’s Professional Individual in name only – the equivalent PC version (and even Naturally Speaking 13 Premium, which was released in 2014) is still significantly more feature rich and customisable. The transcription functionality, for example, is incomparable between the two (the Mac version still cannot make corrections to transcribed output, never mind learn from it). What’s a Mac user to do? Buy a separate PC just for dictation? Go the Parallels route on their Mac? Or simply accept that the software isn’t as good but is at least finally stable? If you go for the latter choice, at least you’ll be able to significantly increase your word count without worrying whether the program is going to crash on you several times an hour any more. For those who want to give Dragon 6 another try on their Mac (and I know of plenty of people who gave up, reverted to version 5 or switched to the Windows equivalent), I recommend following Graham Snook’s excellent post here which outlines the “nuclear option” of completely removing any trace of Dragon from your system before installing version 6. Once that’s done, head to the Dragon menu and download the 6.0.6 update, cross your fingers and hope for the best. While it’s great news that Nuance has finally delivered the version of Dragon that people paid for in the first place, it’ll be interesting to see how quick Mac users are to cough up more hard-earned cash for the inevitable release of version 7. Maybe a free upgrade would be a valuable gesture in restoring some goodwill. That, at least, would demonstrate some acceptance on Nuance’s part that they got things very, very wrong this time around. Hi Scott, I originally got the Mac version 6 last summer when it came out. Had never used dictation software before. It was so unusable. So I then talked with Nuance and they allowed me to return it and instead get the windows version and with your advice, run it on parallels on my Mac. A couple months ago I got Scrivener (LOVE IT) and now I wish I could use a Mac version that works well — I saw your recent post about v6.06 — and dictate straight into Scrivener. 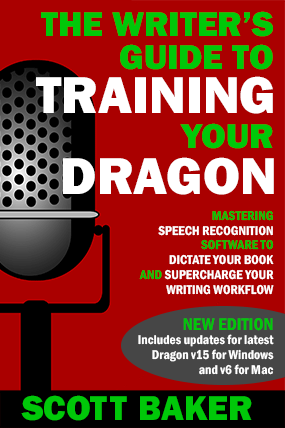 As it is currently I dictate into dragon on the dragon pad in parallels, then copy and paste it into Scrivener. I don’t really mind it, but it the Mac version has gotten good enough (in terms of accuracy…and that it actually WORKS) then I would probably make the jump BACK to the Mac version. Hi Scott (great name, by the way). If you have Dragon running well under Parallels I would still stick with it. Dragon for Mac 6 is much improved but it’s still nowhere near as feature-rich and the stability can still be pretty wonky in anything other than TextEdit. As you would still be copying and pasting into Scrivener that way, your workflow will be barely any different. In my experience, Dragon has never worked well in Scrivener on the Mac (or in much else, for that matter) – the UI seems too complex and appears to confuse Dragon – and the cursor still seems to go haywire or insert random characters. In short – I think you’re better sticking with the setup you have for now. Great. Thanks for your reply Scott. That was my feeling too… the stability and accuracy of the Windows version is AWESOME! And LOVE it in Parallels! However. I have tried numerous times to click on “Tools-Administrative Settings” and nothing at all happens. I closed the User profile, shut down parallels, restarted, etc. Every time I click on it, it doesn’t open anything. I am concerned because the backup is being saved to the same place as the user profile…. in Parallels… This is really bad because I have trained it well and is 99% accurate. I’d hate to have to retrain it in the event of a crash. Are you using DNS 13 or DPI 15? I have no issues with those settings appearing in DNS 13 under Parallels. Are you logged into Windows as an Admin? Am 18 year user of DNS since v 3.2 on Windows. Now use DNS 13 with parallels. Still a little wonky but works pretty well dictating into Word, but would love to dictate natively on Mac . Have tried virtually every version of Dragon for Mac. Couldn’t believe how bad v. 6 was and returned v. 6.0.0 You described that 6.0.6 is usuable–my biggest issue was randomly jumping cursor and trying to edit. Have they had any other updates since your article to make it even better? Jumping cursor was dealbreaker as it made it impossible to use. Even jumped in wordpad. It has now been updated to version 6.0.8 which also brings High Sierra compatibility. Things are still pretty stable although the jumping cursor can still rear its ugly head. The best solution is to stick to dictating in TextEdit in plain text mode (you can set this from the TextEdit preferences). There’s the difference – that option has changed in DPI 15. Your profile can now be managed at Profile – Manage (and Profile – Manage – Advanced). Hi Scott. Thanks for your reply. That’s what I thought too, but…. Use this dialog box to view information about a user profile, including the language, dictation source, and the steps you have taken to set it up. The User Properties dialog box is for informational purposes only. You cannot make changes to the properties in it. Since there seems to be a bug in v15 because I can’t get it to work and I suspect that nuance will charge me money to ask them to help me, I did use that manage user profile to “export” my profile to another location in dropbox which also gets backed up regularly JUST IN CASE the drive got corrupted and I would need to reload parallels. I know that I will have to go in from time to time and re-export it, but its way better than starting from scratch. I have spent several months training dragon and it is 99% accurate. BTW… After experimenting with several headsets and mics I have settled on a wireless Bluetooth headset so that I can walk around my living room and dictate. I know you have mentioned that Bluetooth headsets are never going to be as good as wired but my experience in using it is that it is 99% accurate. In fact I am dictating on it right now and I have not had a mistake. It’s called the blue parrot b450 by VXICorp. It is wonderful walking around and sometimes flailing my arms around completely untethered from any wires and having this high amount of accuracy. It is expensive at $150 but I would never want to go back to having to be connected by a cord and the accuracy is equally as good. “Since there seems to be a bug in v15 because I can’t get it to work and I suspect that nuance will charge me money to ask them to help me” – I had to smile at this. You’re probably right! It sounds like the export to Dropbox option may be inelegant, but if it works and keeps the profile backed up then that’s a good thing. Thanks for the info on the BlueParrot – I’ll look into it. Not all Bluetooth mics are bad – not at all – but many just lack the quality needed for Dragon accuracy. There are exceptions and it sounds like this is one of them. Hi Scott not sure you will get this message as it is 15 months later! I just upgraded to Professional 15.3 yesterday and it is a bit of a disaster. Although the PC (under Parallels) recognises and hears my sound inputs, Dragon Professional 15 randomly fails to hear my dictation. I start dictating OK, then 10 minutes later it goes dead, no sound getting through to Dragon, even though I haven’t changed anything, and even though when I open the sound control panel on the PC to check, the sounds are getting through (though there seems to be a sort of delay). I am running Windows 10 on the latest version of parallels on a Macbook pro 16 g ram, high sierra 10.13.6. All N=Mac and Windows software is completely up to date. The sound settings: parallels audio controller on the PC and defaulting the sound settings through from the mac, as recommended by Parallels. This has worked perfectly for Dragon 13. What settings are you using for Dragon 15? Dragon for Mac 6 is still pathetic. There is not one application I have ever used that is crashed so many times, made so many mistakes, and had been so frustrating with jumping cursor glitches that indiscriminately begin typing anywhere in your document but where you wanted to stay. Sadly STILL in version 6.06 for Mac there’s a constant jumping cursor that destroys all of your text as it starts typing randomly anywhere it wants continues your dictation separating words indiscriminately with lots of mistakes. After a run of usually about three or four paragraphs, I have to constantly force quit by opening and Activity Monitor. When it works for a few paragraphs it’s still worth it to use – but just barely. I feel stupid that I keep buying into the idea that their new updates are going to fix all these issues. Each time they want more money and each time I stupidly purchased this absolutely horrific application that constantly has new bugs and never fixes the old ones. There should really be a class-action suit against them to get all our money back for every upgrade/downgrade. Hi Scott, any updates in 2018 to this software that makes it more usable? I’m considering purchasing it for the first time. No new updates this year. Still at 6.0.8 which is MUCH more usable and stable. The shortcomings in functionality compared to the PC version remain, however. I’ll comment. I purchased Dragon for Mac in January 2018. It was an exercise in tremendous frustration. You could not even dictate into Windows that did not support full dictation. Sporadically, sometimes dictation would fail to work properly. Furthermore, the macro system for Mac is missing several key features, not limited to parameterized commands (as you can do with Dragon macros in Windows). The web browser support in February 2018 was completely nonexistent. When you go to download the plug-in for Safari, you are greeted with an alert dialog letting you know that the certificate has expired. How reassuring! Alas, even bravely forging ahead, the plug-in still did not work. The Firefox plug-in didn’t work either, even if I installed the pre-quantum release of Firefox. Anyways, I ended up getting a refund, and purchasing the Windows version. Also, I have switched from a MacBook to a desktop configuration (liquid cooled, overclocked I7 processor, 24 gigs of RAM). Running virtual machines seems to do a lot better on this configuration than my 2016 MacBook Pro (which I still have, use, and enjoy). Maybe it is overkill, but things are working extremely good for me with the setup. I toyed with the idea of having a Windows desktop PC, and a MacBook, but in the end, it was simpler to just use parallels desktop. The integration between the 2 Operating Systems is way better that way. I am now having serious issues with dragon 6 pro for mac continually crashing……..any ideas?? 3. Keep things simple by only dictating into TextEdit. This prevents Dragon from having to interface with a more complex program. I have litearally come from NS13 on windows, as got fed up of windows crashing. I am dictating into word with no issues and using custom commands. Thanks for providing the link, Nick. The update functionality seems intermittently down lately for both Mac and PC versions of Dragon so both the 6.0.8 (Mac) and 15.3 (Windows) updates need manual installation. I got an email indicating Dragon Professional Individual for the Mac is on sale for $150 (50% off). I think this is the first time I’ve seen the Mac version get this discount since I’ve been looking. It’s been quite some time since I’ve given Nuance any more of my money. I’m still on version 5.05, which works well enough although some things, like making corrections by voice, don’t work well anymore. But I’ve kept using it because I still prefer it over Siri dictation. And I’m severely disabled so I dictate ALOT. So I’m seriously considering jumping on this deal even though I hate the idea of giving them more money. Their support forums haven’t even been accessible for quite some time for whatever reason which is why I’m here instead. In fact I’m grateful that this thread exists. So now that it’s been updated a bunch does anybody feel that it’s worth it at that price? And does anybody know if the new version for the Mac is imminent? Thanks in advance and thanks for the great article and support. Scott, Nuance took down their Dragon Dictate for Mac forum and have not brought it back online. Where are you going these days to discuss all things Dragon Dictate for Mac? Your best bet might be the Dragon Riders group on Facebook. Thank you for all the useful information, I wish I had read your article on using Dragon on a PC versus a Mac before I bought my version for my Mac. I have cubital tunnel syndrome which has made typing and using a mouse very painful. I have found the dictation very good, and the editing seems to get better as I keep practicing, but I still get a “wandering cursor” sometimes (thanks for teaching me the term for it! ), and navigating Safari is very frustrating. The program overall seems buggy. It has quit on me a few times, and sometimes the dictation will randomly start adding an extra letter until I restart my computer, but it sounds like nothing compared to the earlier trials you went through. Does anyone have any experience using Dragon to navigate a web browser on a PC and a Mac? If so, did you notice any significant differences? Also, is there any way to write a command using the function key? I think that is why scrolling never works on Safari. It randomly starts leaving an extra letter for me as well sometimes. This has been present for several versions. Fortunately I need only restart the app to correct the problem so it’s a very minor annoyance at best for me. It also doesn’t happen constantly either although most of my dictation takes place within TextEdit, which the application fully supports. Overall version 6.0.8 has treated me pretty well since I recently finally gave in and purchased it (50% off). I’m not thrilled with supporting Nuance by purchasing this less-than-perfect product but as many have said before there’s nothing like it available on the Mac. Siri dictation, which is getting better and better, still falls far short of this in my opinion. Bleh! I’ve been paying for Dictate upgrades since the early days and it has always been frustratingly behind the PC version, not to mention buggy as heck. But even with the 6.08 update, the program is all but unusable except for TextEdit. MS Outlook functionality (especially editing) is totally broken – for example, if you select a word and dictate a new word to replace it, the old word will still be left behind. Same goes for Mail.app. Since the annual Shell Out Another $99 To Nuance For a Disappointing Upgrade fall special never happened in fall of 2017, I fear that Nuance has given up on Dictate altogether. Sorry for the bitterness but the whole thing is very disappointing. Nuance skipped an update cycle in 2017 (presumably to get both v6 for Mac and v15 for PC more stable). If there’s going to be any new versions, I’d expect them in the last quarter of this year. You have every right to be annoyed – I also don’t use Dragon on the Mac for anything other than dictating into TextEdit. Too erratic elsewhere. In my brief experiment with DragonDictate (2 months), I had created AppleScript macros that would take the contents of TextEdit, press command tab, paste, and then switch back. It was the only way to get reliable dictation. The Mac version is truly sad. Fortunately, Nuance was not overly stringent on giving me a refund. I hope that they can get the product to work. The speech recognition engine is second to none. The integration with Mac OS, however, is abhorrent. I just need something to dictate 10-15 page reports on my MacBook Air (macOS High Sierra 10.13.4). I don’t mind using the keyboard for the Internet, etc. Mostly I’m dictating normal English sentences, and occasionally citations with abbreviations, commas, and page numbers. No tables, no photos. You recommend dictating in TextEdit and I (newbie that I am) don’t know what this means. Will I be able to dictate a Word document and enter some boiler plate (happy to use key strokes for that)? Edit mistakes? be great if this is really easier. Hi Andrea. TextEdit is a basic word processing program built into your Mac. You can access it by hitting Command & Spacebar and typing ‘TextEdit’ or via your Applications folder. You can even go into its preferences and switch to plain text input – I recommend this as it makes things as basic as possible and becomes difficult to trip up the Mac version of Dragon. From here, you will simply copy and paste into Word. You can, of course, dictate directly into Word but I find this is erratic on the Mac. One thing you absolutely cannot do while dictating in the Mac version of Dragon is use the keyboard. Mixing voice and typing is a big no-no and can completely confuse the program. If you keep things extremely simple as outlined above, using Dragon as a draft tool as opposed to creating finalised documents, it will work really well. I use Dragon Naturally Speaking for work. It’s an essential tool for me. I’d never be able to keep up with all my email without it. It’s a great solution for me. Granted, it is not an inexpensive one, because Parallels Desktop is now a $99 annual subscription. Plus, there is the cost of Dragon 15, and then the eventual cost to pay to register Windows 10. On the other hand, the PC version of Dragon is so many miles ahead of the Mac OS version that it’s not even a fair contest. I have one of the latest MacBook pros, and I don’t know how smoothly your MacBook Air would run this configuration, but there is a trial period for Parallels Desktop with Windows 10, so you could start there and get a sense how well it would run for you. One other thing: there are two ways to avoid paying for Parallels Desktop. The first is to run Boot Camp. But that requires rebooting your Mac every time you want to run Windows, which wasn’t going to work for me because I need to have access to my MacOS files and applications while I am running the windows version of Dragon. The other possibility is to try using software called Virtual Box to run Windows. Virtual Box is free software. I was able to install it and then to install Windows 10 from a DVD, but it’s not as polished as Parallels and I eventually got frustrated with it and uninstalled it. In the end, Parallels is very slick and I decided I didn’t mind paying for it to get the convenience and performance. 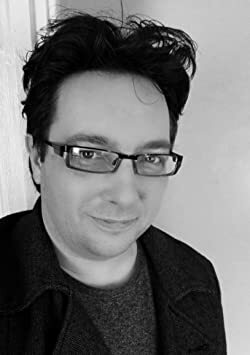 Hi Scott, I am just starting my practice and would like to get Nuance and a handheld Dictaphone, but I am generally a mac user and would like to get a mac in my office too. The MOA’s all have PC’s and the other doc in the office advised me to get a PC so that I can use dragon on it. If you were just starting out would you do that or go ahead with a Mac ? And what is Parallels? So sorry I’m not super tech savvy but I’m willing to learn and hopefully still young enough to pick things up! Will you be using regular Dragon or the medical version? If it’s the latter, you are certainly going to be better off with a PC as the Mac version is not officially even compatible beyond the El Capitan operating system. If you are just using the regular software, I would still think long and hard before going down the Mac route. While it has improved and is relatively stable, it is still nowhere near at the same level as the Windows version. This is going to be particularly evident if you are transcribing files as Dragon for Mac still cannot improve recognition from corrections in this way (something the PC version has done for many, many years). Hi Scott, thanks for this post, I think I’m in the boat of Mac-users who have been terrified by the Amazon reviews of the Mac version. I’m thinking of getting the Windows version and installing on my partners PC but I was wondering if you or anyone here knows – does Dragon save your profile? I mean if I spend 6 months “training” it and then need to install the thing on a different PC (or on my Mac via BootCamp), will I have to re-train it? Thanks! It not only saves it but can also periodically back it up to a seperate location/drive at intervals you can determine. So no issues there! Hope it is going well. Version 6 I skipped the training on version 6 and just did the microphone setup. Surprisingly it has not missed a beat. Version 4 I had to train for weeks to get descent results. Version 6 has been so close to 100% in recognition that I am astounded. Much of the vocabulary that I added to 4 is already in 6. I am using it on fast machines with SSDs and plenty of ram. OS is 10.11 and typically Word 2011 although Scrivener and Textedit work well. I for one do not understand the issues others are complaining about. Possibly there is a need to fresh install the Mac OS. If it were not for one well written review on Amazon, I would not have made the leap. I am glad I did. I complained a while back about how High Sierra really broke the latest version of Dragon Dictate. Especially with the Mac version of Microsoft outlook, editing was completely screwed up. To my surprise, even though Nuance hasn’t put out a new version of Dictate in quite some time, it turns out that Mojave actually fixes some of that broken behavior. In general, Dictate seems far more stable under Mojave. Bottom line: even though I installed Parallels Desktop in order to be able to run Dragon NaturallySpeaking 15, it turns out that Mojave makes Dragon Dictate much better. No, it’s still not as good as the PC version, but I would say it has reached the “generally very usable” level with the OS update. Steven, what was your process for installing Dragon Professional Individual (DPI) for Mac 6 on Mojave? I installed my 6.0.0 base install but I wasn’t able to check for updates and bring the base install to a newer version. Did you just do the base install and then download 6.0.8 from Nuance’s site and copy it into Applications? Please share. Seems like it is too late. Nuance has announced they are discontinuing many of the Dragon products including DragonDictate for Mac. As a longtime user I am very sad to see this go. I’m now left with the native Apple dictation which does not have the dictionary customisation features available in the Nuance product. Although having said that I am dictating this post with it right now And it is done pretty good except for some random capitalisation. It is likely that this is a move to push customers to consolidate to their Dictate Anywhere product in the age of always-online (for most) world. I guess that’s next…. The best option for Mac users may be to transition to the PC version via Boot Camp or Parallels. This isn’t likely to be discontinued as the user base is huge; it means more cost, however. Very sad to hear that Dragon Mac is discontinued. I for one have version 6.0.8 on two Macs and it has worked flawless, fast and been a dream come true. I am wonder why so many have given it bad reviews. Possibly they need to do a fresh Mac OS install. They finally reached a descent and mature product only to abandon it when they really have something viable. Reading their forum, there was a lot of bashing which was to some extent justifiable since they put out products not yet ready. Version 4 worked great if you properly trained it by stopping and opening and closing the Vocabulary menu item which forced it to update the voice profile. Its’ only issue was the cursor jump on long documents. Version 6… perfect. Nuance had the chance to salvage its’ reputation and build loyalty with version 6. Too bad someone decided to drop the product when it had finally arrived. I’ve been using Dragon NaturallySpeaking for years, on a Mac and I’ve never really had problems, until now. I just purchased a new Mac, which runs on 10.14 and Dragon version 6. My problem is Dragon cannot run on the new operating system, and when I called to inquire, I was told that they will not be making a newer version for mac. Since I just bought this computer, I’m not really in the mood to go out and purchase a new PC just to use Dragon. I wanted to know if you could recommend a dictation software that will work with the new Mac operating system. Dragon for Mac has indeed been discontinued. Read my initial thoughts here. I’ll be posting a guide for Mac users soon but your best option may be to run the Windows version on your Mac using Parallels. It’s more seamless than you may think and you can see it in action in this video. I have been running the PC versions of Dragon for years a series of Macs, using Parallels. It is indeed seamless, and the only thing you can’t do (of course) is control your Mac by voice (though you can control the virtual machine). The interface between the operating systems is flawless – you just open a word document on your Mac in word for windows and off you go. I too used Dragon on my Mac until Mojave issues and the discontinuation of Nuance support. My questions to be frugal, can I get Parallels 14, newest Windows version of Dragon and Windows 10 and still use Dragon PC to dictate into Word (newest Mac version) or will I have to buy PC version of Windows also? Thanks for all your tips and info. If the budget will stretch to a copy of Word for windows, there’s a much better alternative. With Parallels and Windows 10 running in tandem with your Mac OS (preferably in coherence mode) simply open your word for Mac document in Windows and dictate into it/work on it in Windows. When you close it, it will still be there on your Mac, with all the changes. Hi Scott, a fantastic resource thanks – I’ve read all the comments but may have missed this: I’m about to install v15 on W10 via Parallels and will use the wireless headset that comes bundled with Dragon. Will this work ok via Parallels? Will there be any issues i.e. will the Mac OS pick up the headset or can I change this like you can when you plug a USB in? If it comes with its own dongle, there shouldn’t be a problem. Select that as the default input in System Preferences and, in Windows, choose the Parallels Audio Controller as the default Recording (input) source. This should simply pass the audio through. Thanks Scott, will give that a try! Just an update – the user experience was v poor so we have sent Dragon back for a refund. Just an update – the user experience was v poor so we returned Dragon for a refund. I purchased 2 MAC pros. One 15” and one 13” to use with dragon. It sucked. I went out and purchased an LG gram 14” laptop, word and dragon 15. Works much better.